This bracelet was made from memory wire. I used turquoise color beads accented with red and bone color beads. The beads are all different style and size. 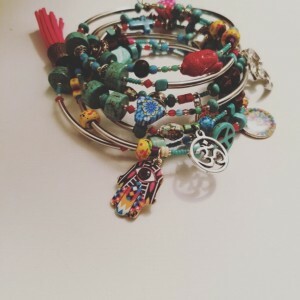 Charms and a tassel at the end of the bracelet. Bracelet will fit most wrist size.